Meat + veggies = a common eating pattern for those working to lean out. 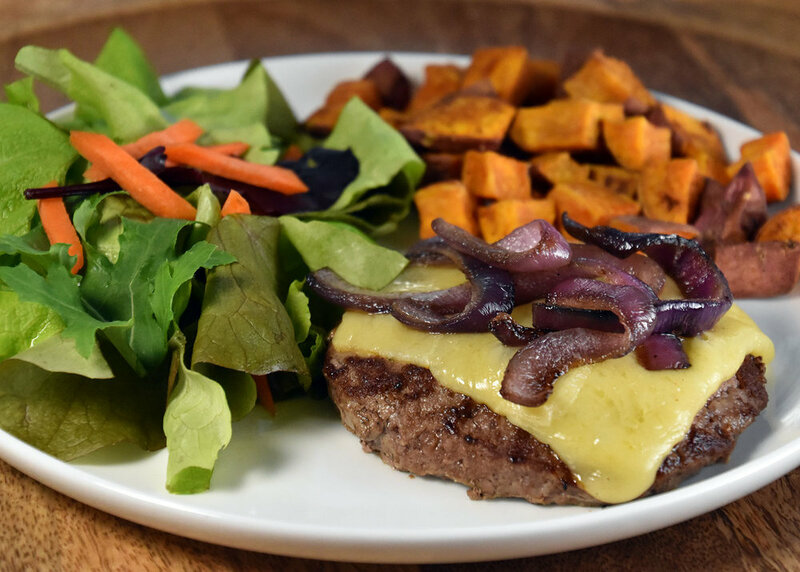 And we think a grass-fed burger plus a fresh organic salad equals a delicious, easy dinner, too! We've even got local raw milk cheese (grass-fed, A2 protein, of course). Shop local and eat well! Our meat is frozen, so it's easy to stock up! Order your salad mix a day ahead, and we'll harvest just for you!